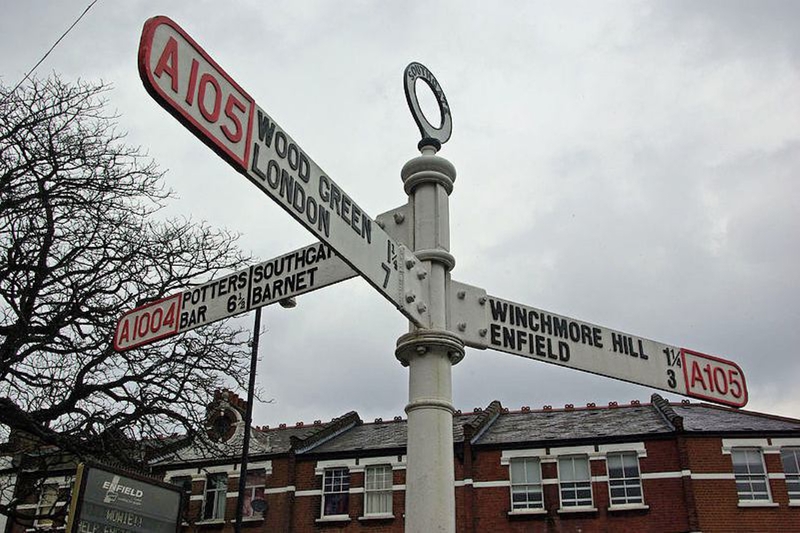 Winchmore Hill Area Guide - What makes Winchmore Hill so great? Where do Winchmore Hill locals go? A lovely green space in the heart of Winchmore Hill. It is a great place to sit whilst watching the day pass by. Burger night every Wednesday at The Salisbury Arms. £9.00 for a burger, onion rings, fries and a drink! A great deli that also sells local produce. Pop in for a snack or light meal. A contemporary restaurant serving European food in the heart of Winchmore Hill. On a sunny day, ask to sit by the front so the bi-folding windows are folded back and you can people watch. This charming pub is a former coaching inn and it also has a pretty beer garden that is perfect on summer evenings. As well as the usual coffee and cakes, they sell delicious iced coffee when the weather is warmer. Delicious fish and chips - eat in or takeaway. Always busy on a Friday night with locals. Share your favourite place to go to in Winchmore Hill. "The world's first ever cash machine was installed at a branch of Barclays in Enfield in 1967." Family-friendly Palmers Green offers everything from parks, to schools, to train services into the City. Southgate has fantastic road routes in and out of London, which makes it the perfect place for families. What do you think of Winchmore Hill? Baby Sensory offers a world full of exciting & stimulating sensory experiences which give everyone a wonderful sense of well being. Activities and experiences vary weekly, there is always something new. The developmental play session is a perfect time to socialise and build up relationships with other parents and babies. You can join at any point and the sessions are aimed at babies from birth to 13 months. Do you live in Winchmore Hill, or have you lived in Winchmore Hill recently? If so, let us know what you like about living in Winchmore Hill. Feedback about living in Winchmore Hill has been submitted directly by the public and may not neccessarily reflect the views of Foxtons. The description of Winchmore Hill was modified from Wikipedia and is available under the Creative Commons licence. Land Registry data is Crown copyright. All the views and contributions contained within Foxtons Local Life are those of the contributors. All content is assessed before publishing for taste, however free opinion is encouraged. Foxtons accept no payment or sponsorship for content that is posted about Winchmore Hill.